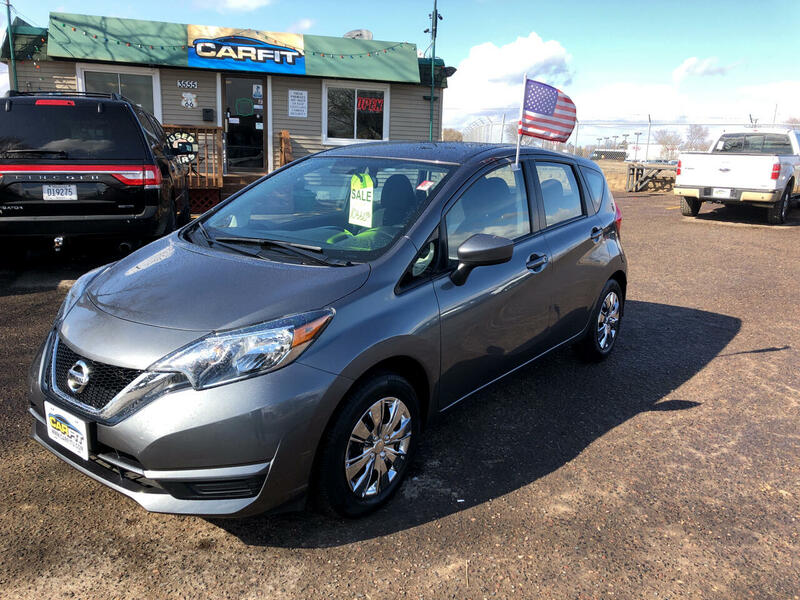 Used 2017 Nissan Versa Note 5dr HB CVT 1.6 SV for Sale in White Bear Lake MN 55110 CarFit! WOW 31 MPG CITY AND 39 MPG HWY WHAT A GREAT DEAL ON THIS VERY CLEAN LOW MILEAGE VERSA. THAT'S RIGHT IT ONLY HAS 44K MILES ON IT AND A CLEAN 1 OWNER CARFAX. TO SCHEDULE A TEST DRIVE CALL RICH AT 763-274-9654. WE TAKE TRADES AND HAVE FINANCING AVAILABLE. FREE CARFAX ON EVERY VEHICLE.